Small Cells, Cloud-Radio Access Networks (C-RAN), Software Defined Networks (SDN) and Network Function Virtualization (NVF) are key enablers to address the demand for broadband connectivity with low cost and flexible implementations. Small Cells, in conjunction with C-RAN, SDN, NVF pose very stringent requirements on the transport network. Here flexible wireless solutions are required for dynamic backhaul and fronthaul architectures alongside very high capacity optical inter-connects. However, there is no consensus on how both technologies can be most efficiently combined. – A software-defined cognitive control plane, able to forecast traffic demand in time and space, and the ability to reconfigure network components. – Supporting the development of international standards through technical and technoeconomic contributions. 5G-XHaul technologies will be integrated in a city-wide testbed in Bristol (UK). This will uniquely support the evaluation of novel optical and wireless elements and end-to-end performance. To sum it up, 5G-XHaul aims at building up an ambitious converged optical and wireless network solution that relies on a flexible infrastructure able to support of the backhaul and fronthaul networks required to tackle the future challenges that RAN imposes. 5G-XHaul will provide an efficient, reconfigurable, modular and highly scalable platform to support RAN processing, depending on different architectural solutions, network elements and devices. The future 5G backhaul requires higher flexibility to unlock the potential of increased, more efficient and more flexible spectrum usage. The high deployment cost of optical fibre will be alleviated in 5G-XHaul with the use of mm-Wave communications for both backhaul and fronthaul purposes. The continuing growth in demand for better mobile broadband experiences is inspiring the industry to look ahead at how networks can be leveraged to meet future extreme capacity and performance demands. 5G is supposed to be the set of technical components needed to handle these requirements. 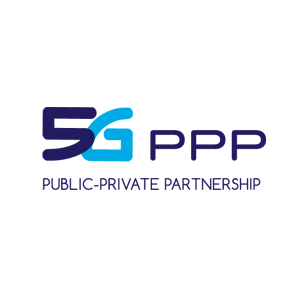 5G emphasizes the development of existing techniques to improve capacity, combined with evolution in radio technology or – where necessary, even a change in system design principles. Future wireless access will extend beyond people, supporting connectivity for any element that may benefit from being connected. One of the key motivators for 5G is to provide ubiquitous, high-speed, high-quality wireless broadband coverage to meet societal and industrial needs beyond 2020. The real challenge is to enable a host of different platforms able to work together as a seamless whole, largely software-controlled and flexible enough to support any usage pattern. More unified and standardised fixed access solutions would allow much higher volumes, and thereby higher integration densities, much lower cost and reduced energy consumption. All these features may not be acquired by a simple upgrade of current systems, but will require new protocols and access technologies altogether. 5G will need rethinking from the system and architecture levels down to the physical layer. The Radio Access Network (RAN) will become more heterogeneous and will require flexible topologies and high performance from the backhaul network. The latter must scale in capacity to avoid becoming a bottleneck beyond the current data capacity shortage experienced by customers in the wireless access segment. To overcome this situation, a convergence of wireless and optical communications is revealed as the perfect combination to fulfil the stringent requirements imposed by the RAN and new Radio Access Technologies (RAT). This project has received funding from the European Union’s Framework Programme Horizon 2020 for research, technological development and demonstration under grant agreement Nº 671551.